The Land of Stories: An Author's Odyssey (CD-Audio) | Let's Play Books! 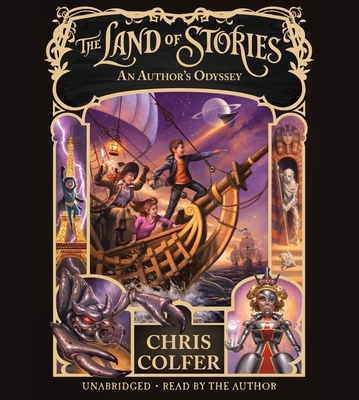 Chris Colfer is a #1 New York Times bestselling author and Golden Globe-winning actor. He was honored as a member of the TIME 100, Time magazine's annual list of the one hundred most influential people in the world, and his books include Struck By Lightning: The Carson Phillips Journal, and the books in The Land of Stories series: The Wishing Spell, The Enchantress Returns, A Grimm Warning, and Beyond the Kingdoms.